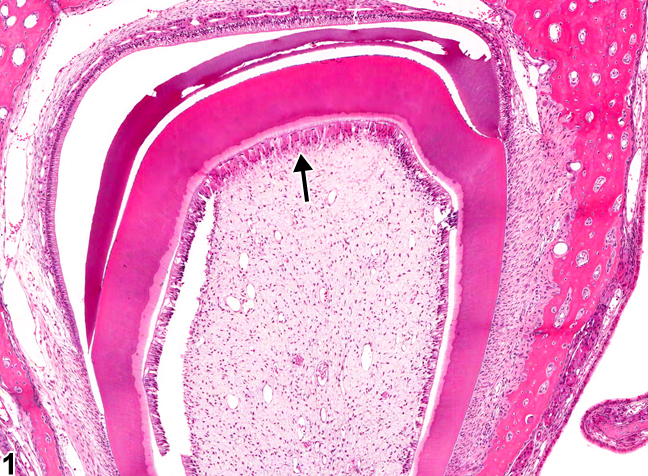 Tooth, Odontoblast - Necrosis in a female F344/N rat from a subchronic study. The odontoblasts lining the dorsal tooth pulp are necrotic (arrow). 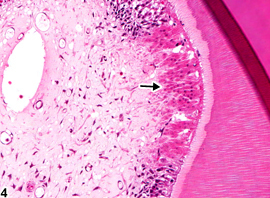 Tooth, Odontoblast - Necrosis in a female F344/N rat from a subchronic study (higher magnification of Figure 1). The odontoblasts lining the dorsal tooth pulp have eosinophilic cytoplasm and pyknotic nuclei (arrow) indicative of necrosis. Tooth, Odontoblast - Necrosis in a female F344/N rat from a subchronic study. 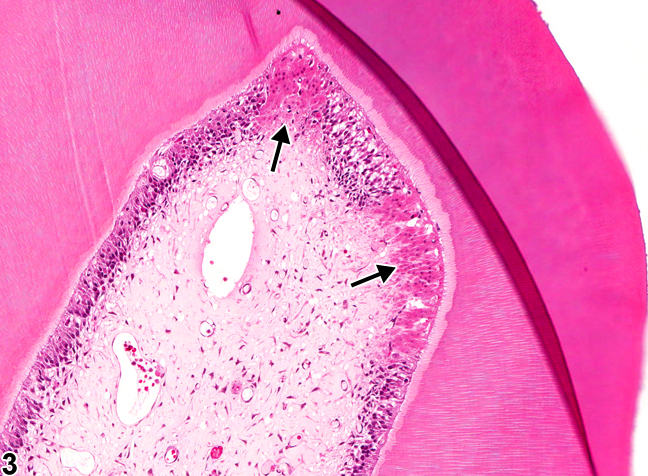 There are 2 regions with necrotic odontoblasts (arrows). 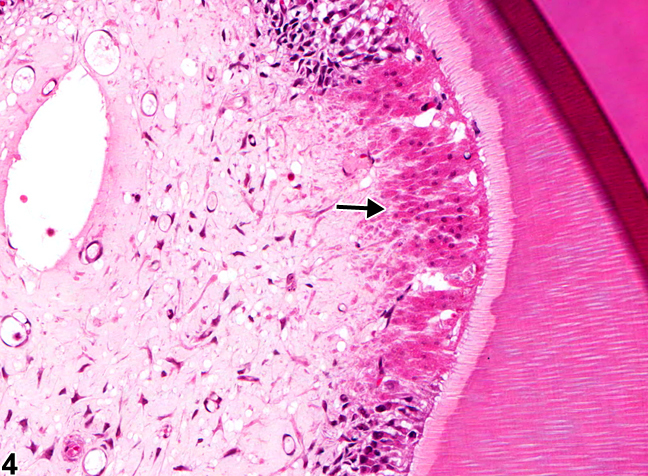 Tooth, Odontoblast - Necrosis in a female F344/N rat from a subchronic study (higher magnification of Figure 3). 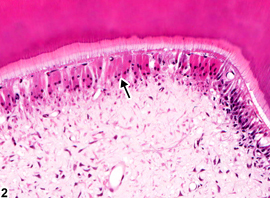 The odontoblasts have eosinophilic cytoplasm and pyknotic or faded nuclei (arrow) indicative of necrosis.